From Bimini our original route was to take us southeast across the Great Bahama Bank to Chub Cay but we decided to explore more of the Berries and head ENE to Great Harbor Cay before turning south. The run across the bank was an easy eleven hour ride with the autopilot handling most of the work. We caught only two fish and while reeling in fish number one suddenly the line went slack. It had been a good fight till a shark took its share. We dropped the hook off the Great Harbor settlement by 6PM and watched a perfect sunset. 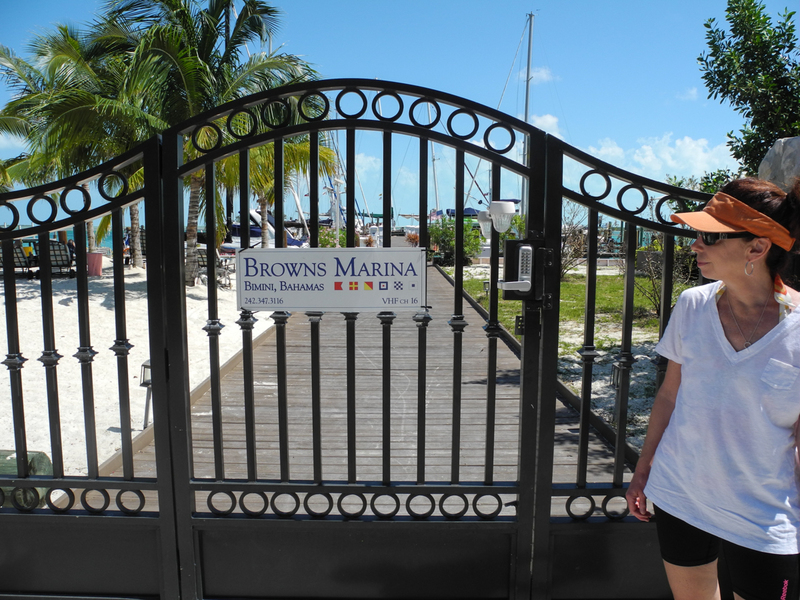 The very next morning we pulled into a fully protected marina, the only one on Great Harbor. 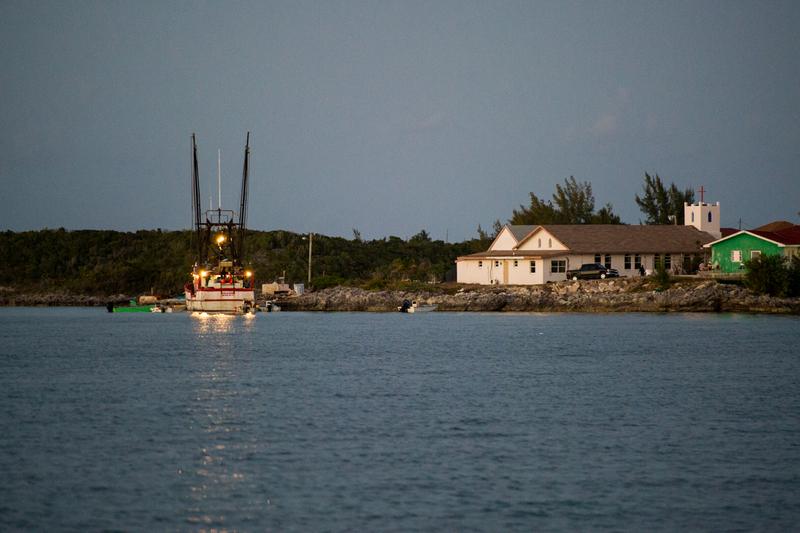 We spent three nights at their dock and explored the island by foot and bicycle. 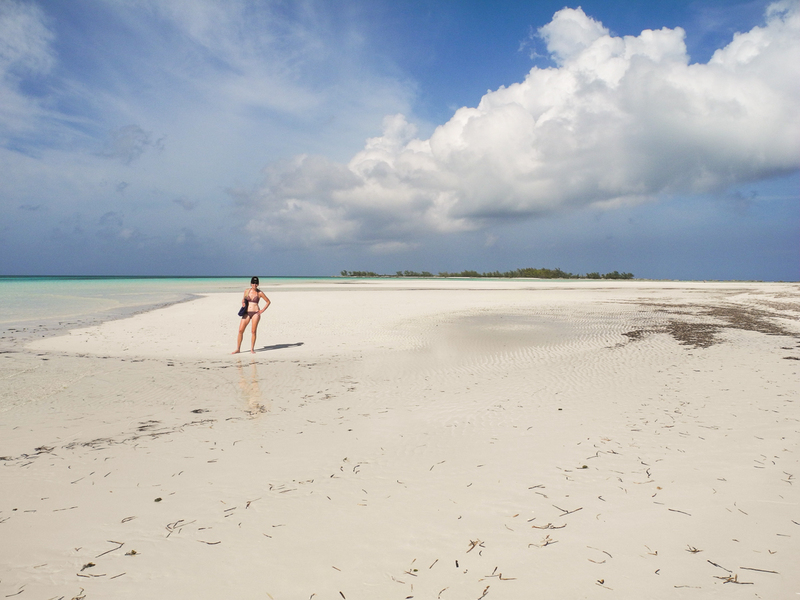 Great Harbor has one of the longest and nicest beaches we have ever seen and at low tide the colors are incredible. Leaving Great Harbor we headed north to round the top before running down the east side to Little Harbor Cay. The top of the Berries has a couple of islands owned by Royal Caribbean and Norwegian Cruise lines. 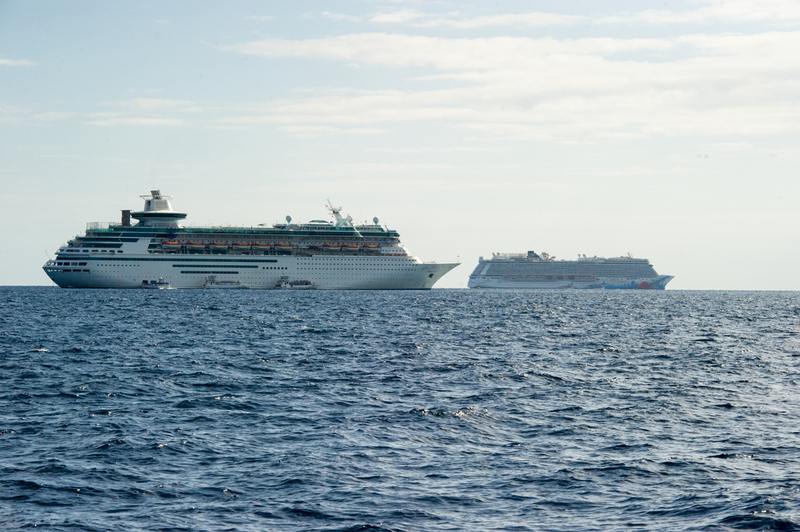 Two ships were anchored and ferrying hordes of vacationers. Fortunately these ships cannot get into most Bahama anchorages. 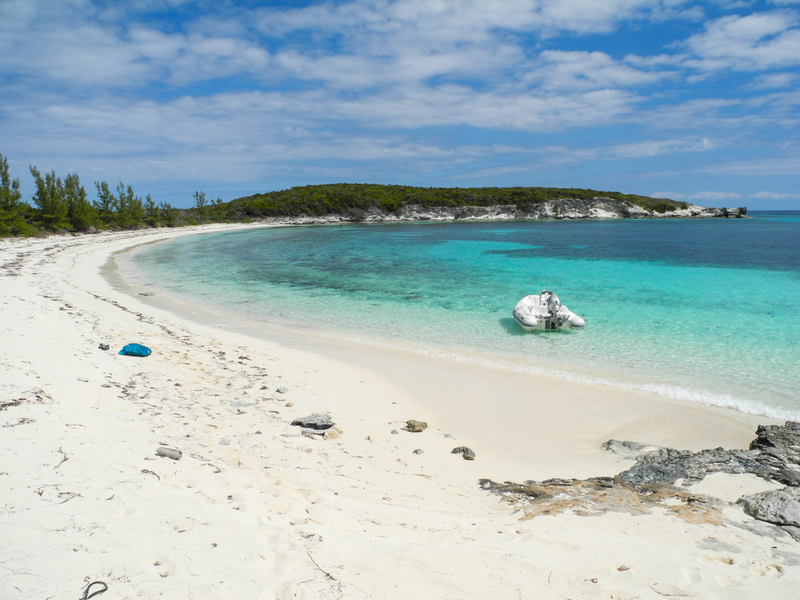 About half way down the Berry chain is Little Harbor Cay. There is a small house with a sometimes open bar/restaurant called Flo’s. 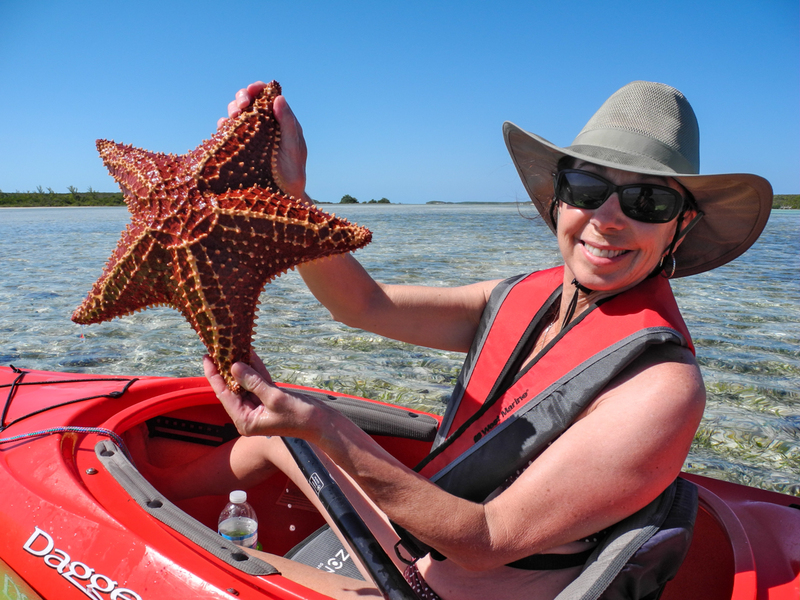 Flo is now deceased and we met her daughter as we kayaked in to inquire about dinner. Unfortunately for us it was her birthday and she was “island hopping” so we did not get to taste Flo’s conch salad or chowder. 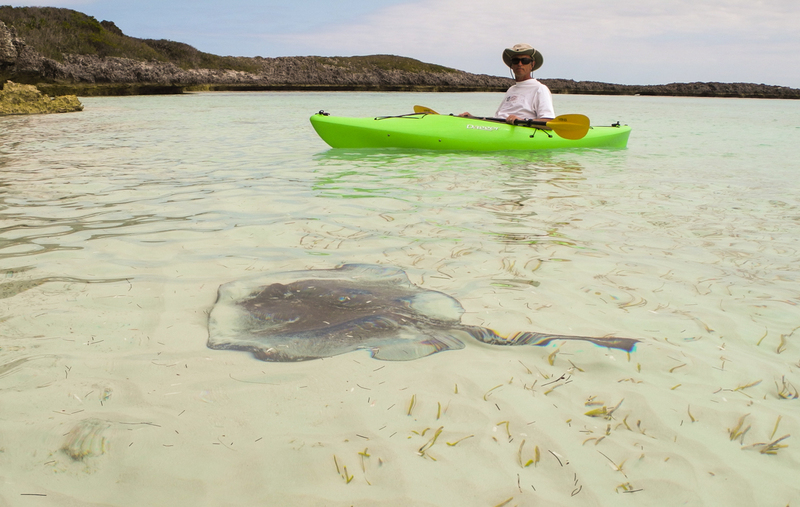 The kayaking along Little Harbor was awesome with sharks, rays and starfish to admire. 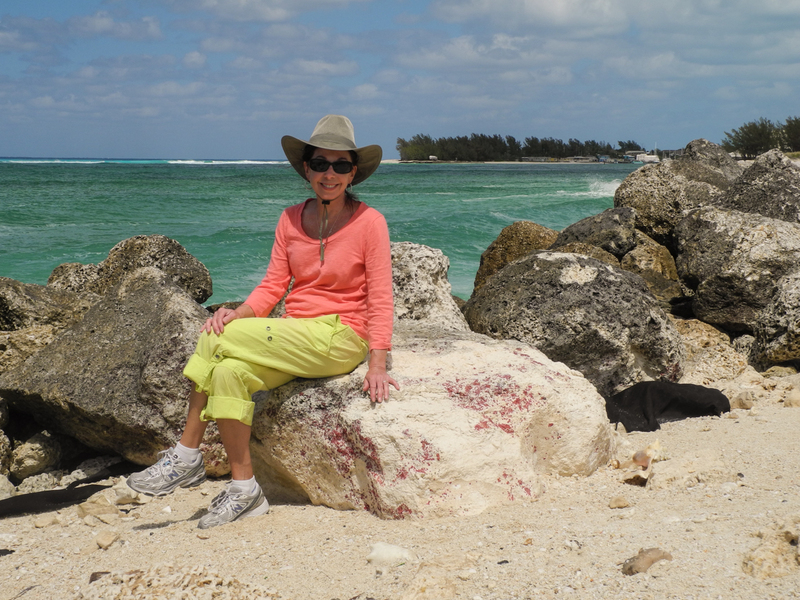 About three miles up from where we anchored was a small beach on Hoffman cay. 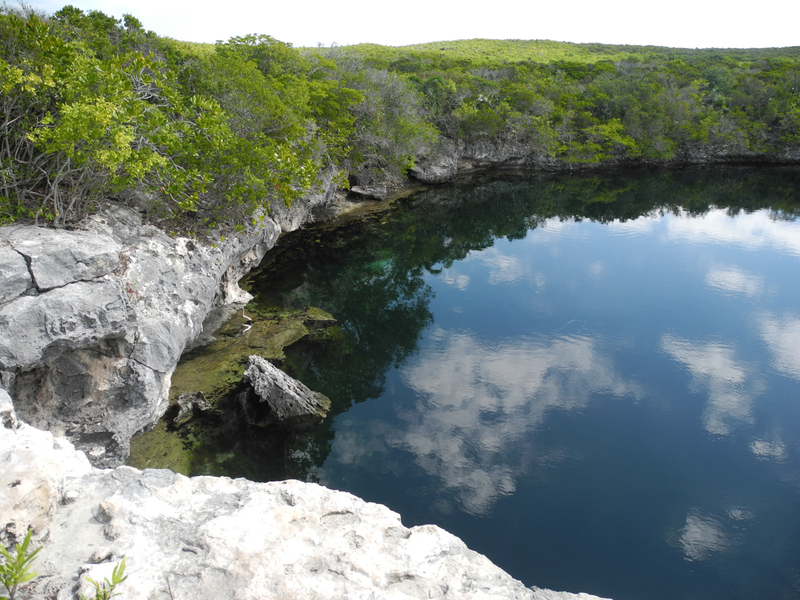 A five minute walk brought us to a “Blue Hole”. 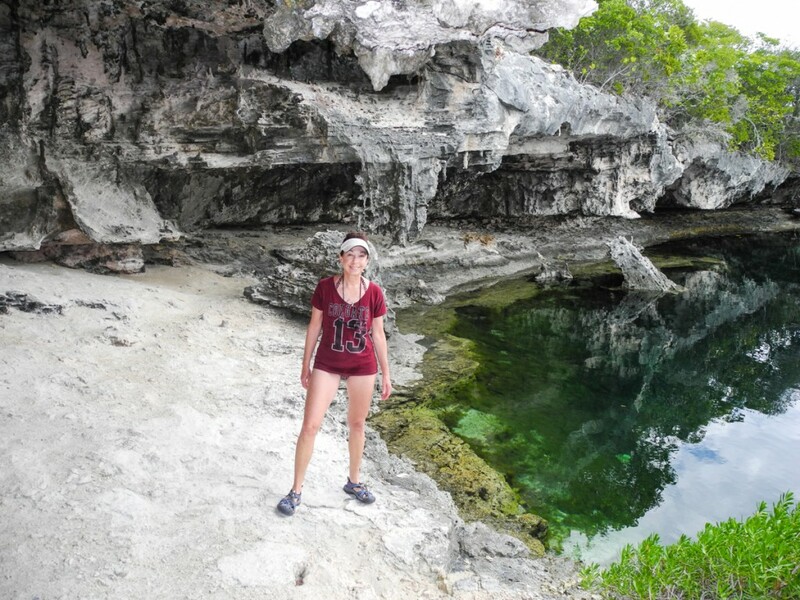 This vertical cave is about 600 feet deep where it connects to the ocean. 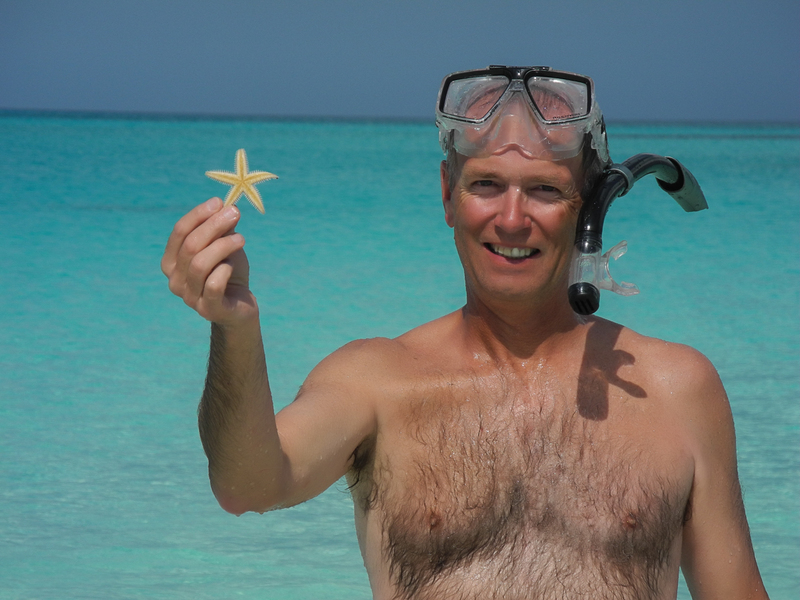 It has been explored by Jacques Cousteau. We thoroughly enjoyed the Berries and will return. A month of skiing in Vermont was wonderful. The conditions were near perfect and from what I have read more snow has arrived. 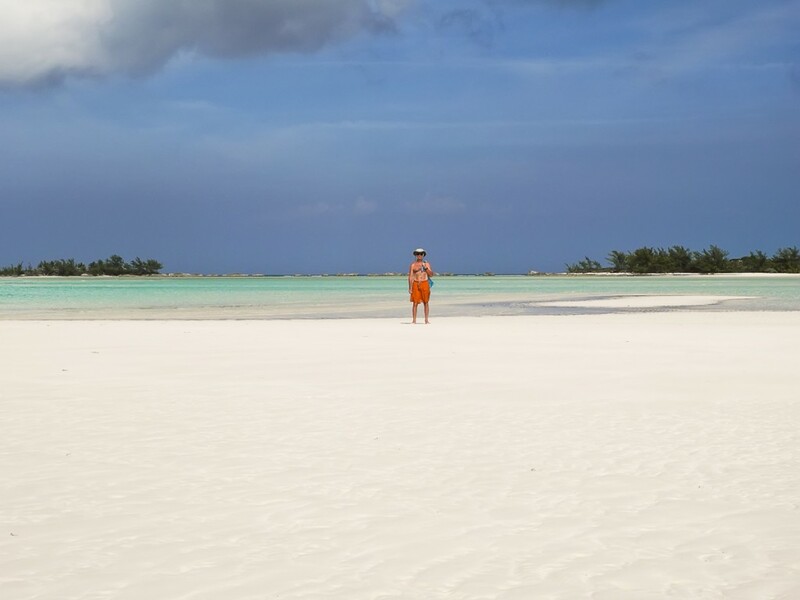 However we have left the cold behind and are now in the Bahamas. Our flight from Newark to West Palm was easy as usual and after several days of intense provisioning in Stuart we fueled up and headed out of the St Lucie inlet for a full day run down to Ft Lauderdale. 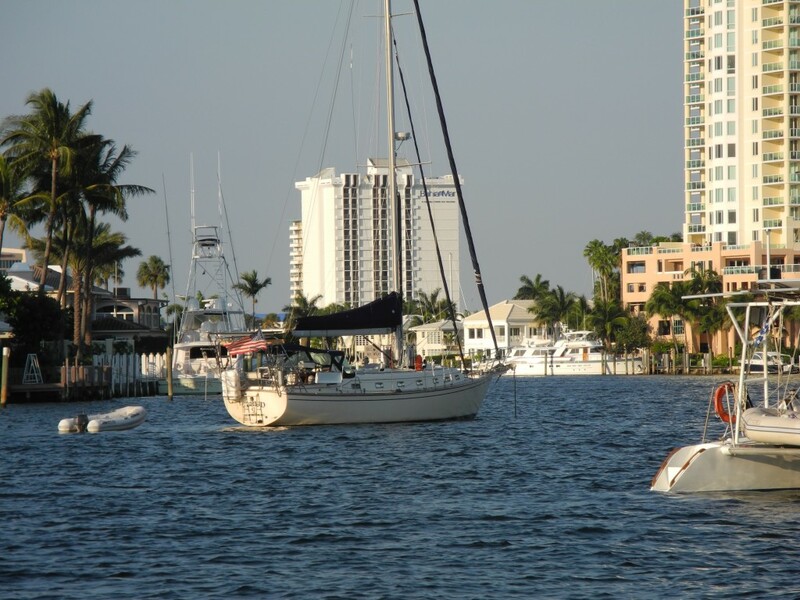 Perfect FL weather had us anchored in Lauderdale by dinner time. 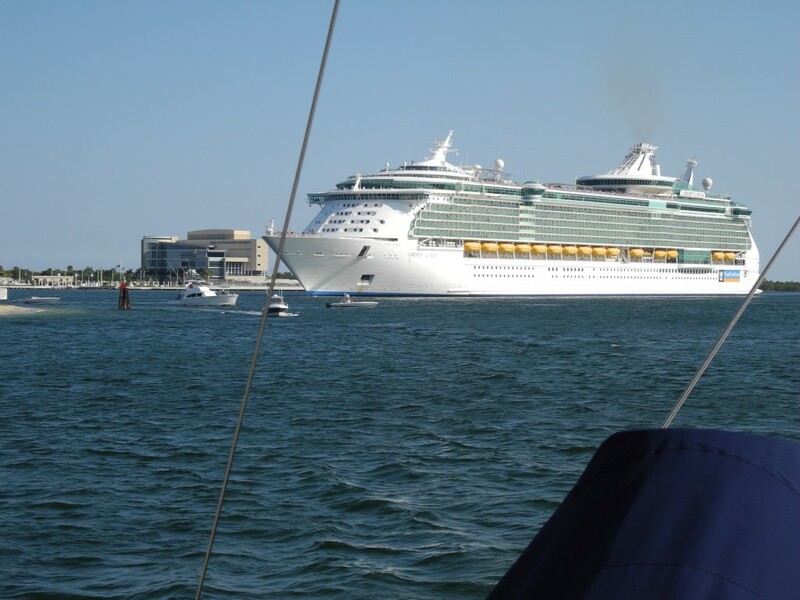 The Lauderdale inlet was busy with three cruise ships departing within an hour of each other. We slipped in behind the second and just made it thru the turning basin when cruise ship number three headed out. We were politely moved along by a well armed Coast Guard tender. 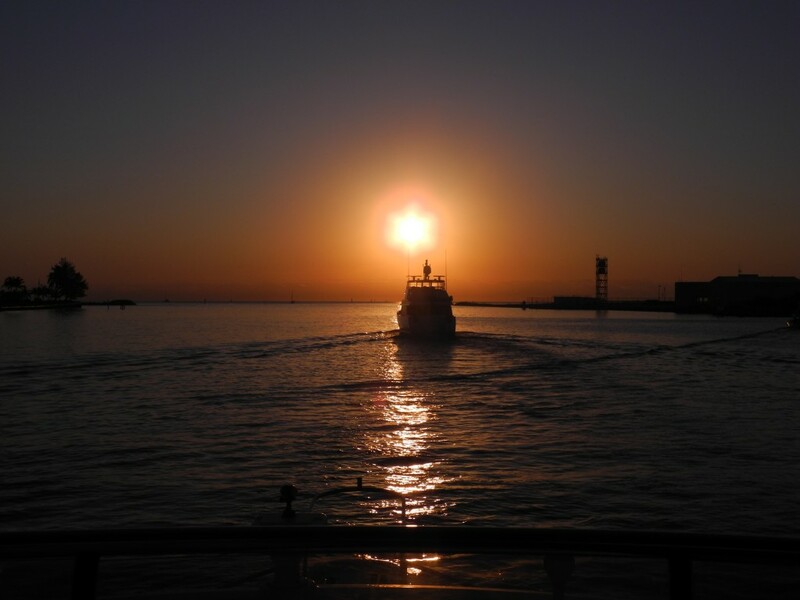 A gorgeous early morning departure out the inlet started our two and a half month Bahamas cruise. 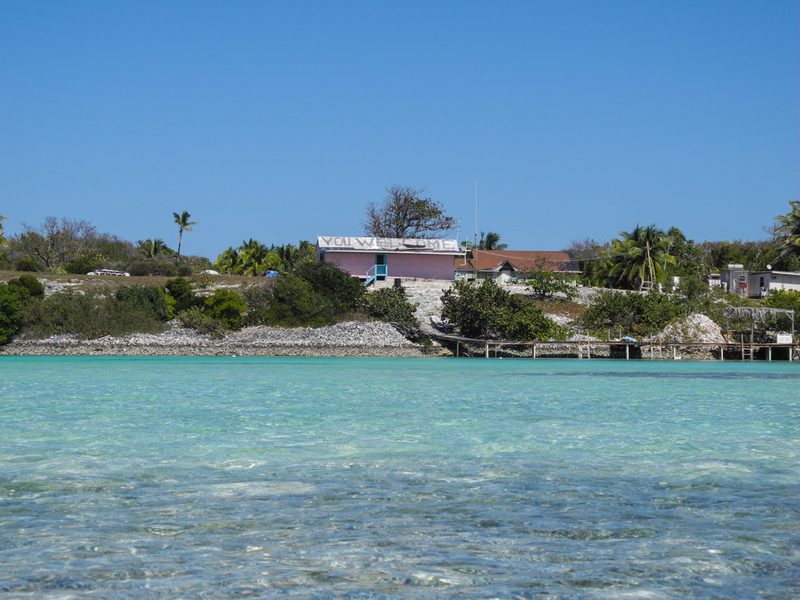 We had been to the Bahamas the prior two springs but only to the Abacos and only for a couple of weeks each. Our first destination was Bimini. It is an easy 56 mile crossing when the weather is right. And this day was perfect. The Atlantic and more importantly the gulf stream was glass smooth. Numerous boats chose this day to cross as it was the only perfect day in over a week of testy weather. We were accompanied by loads of flying fish. 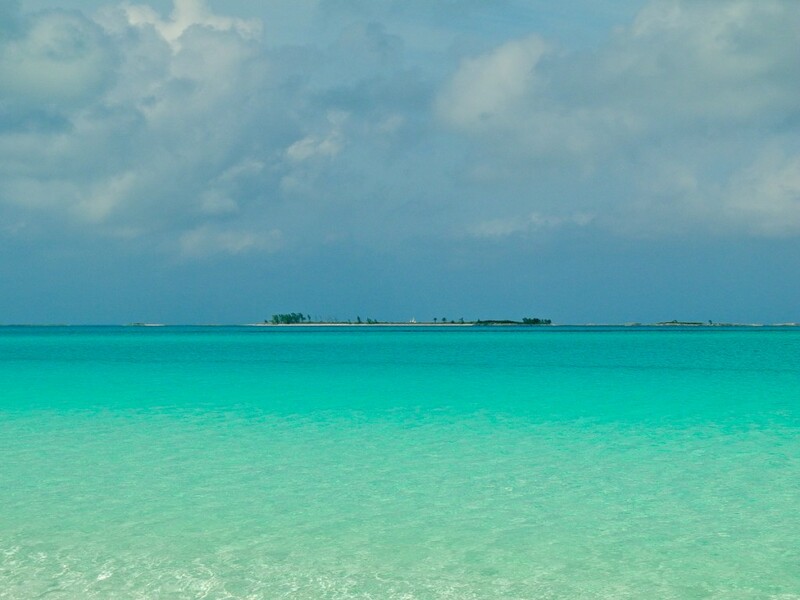 Bimini is one of the many ports of entry into the Bahamas. Our destination was Browns Marina and we made the crossing in 8 1/2 hours. After filling out customs, immigration, and vessel paperwork provided at Browns a quick trip to the customs office and a $300 dollar payment gave us permission to enter and stay for 90 days. 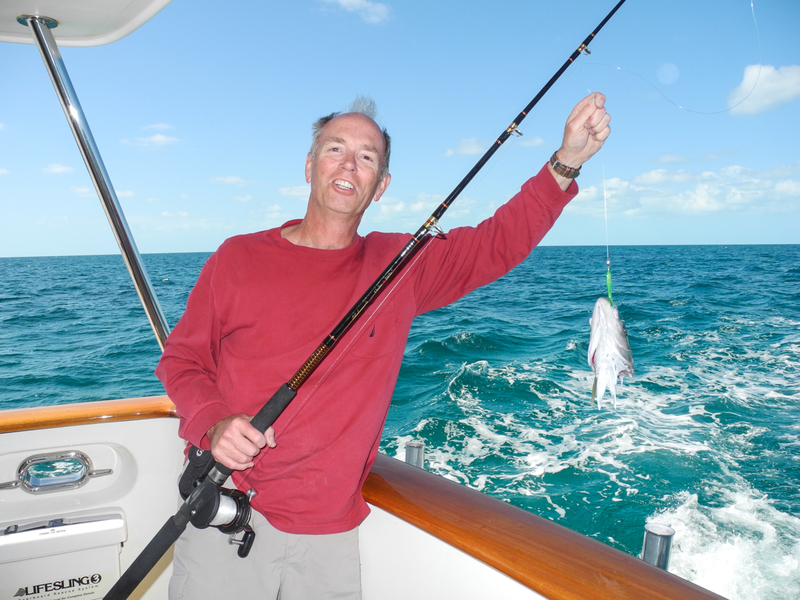 Bimini is a popular fishing destination and hosts several large tournaments each year from the Bimini Big Game Club. 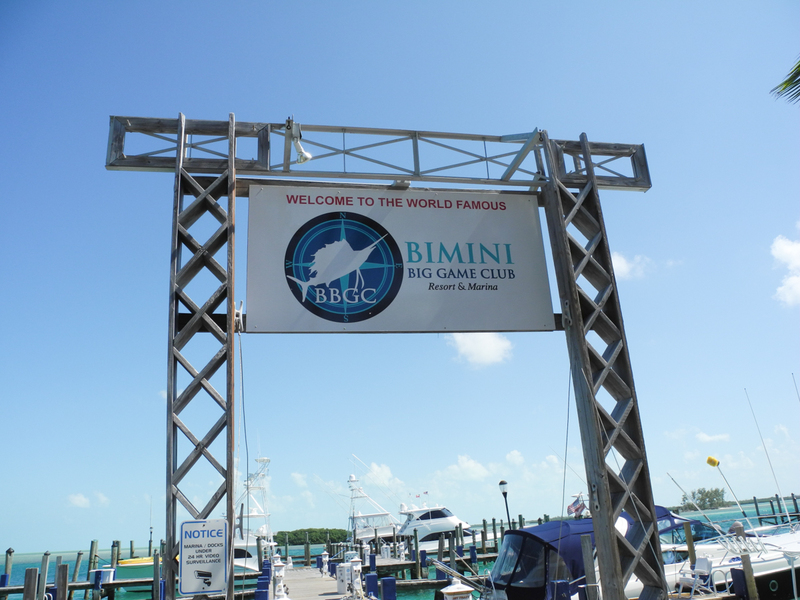 Since the 1920’s many celebrities have ventured to Bimini for it’s world class fishing. Zane Grey and Ernest Hemmingway are two of them and apparently Ernest liked drinking and brawling along with the fishing. Today there is a large casino and housing/condo development under construction by the Malaysian firm, Resorts World. 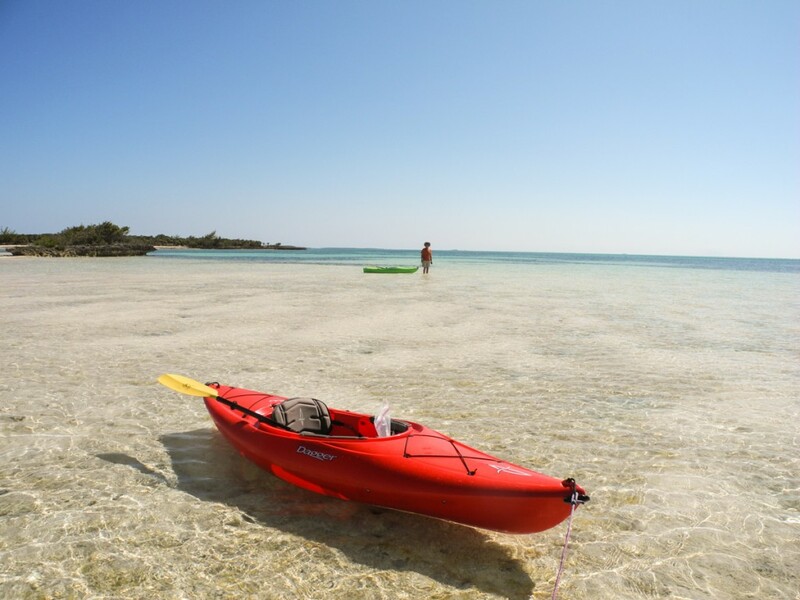 Not all are on board with this change to the low key Bimini life style. 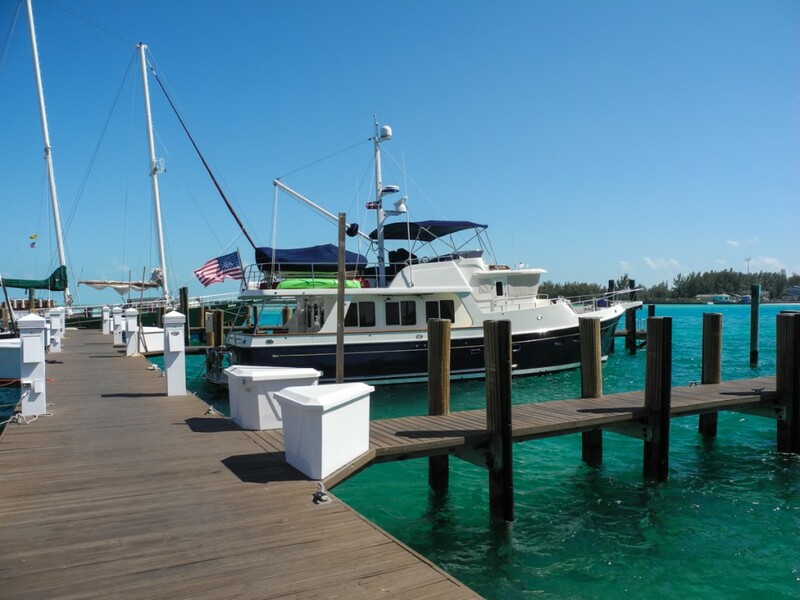 We ended up staying four nights on Bimini due to a weather front that brought strong east winds and small craft advisories. We agreed four days was plenty on this island.